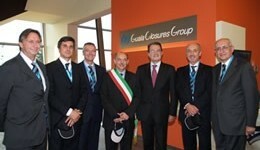 “Barrel Head” awards for Guala Closures Italy and North America! Guala Closures Group has been awarded the Jack Daniel’s Supplier Excellence Award for fiscal year 2007 (May 06 – April 2007)…. First NR Olive Oil closure 1031TE: Hurrah for Sicily! 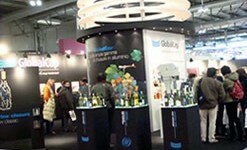 This year GlobalCap was present at several fairs dedicated to wine. At the Mendoza Sitevi in Argentina (first input in Latin America); in UK for the International London Wine and Spirits Fairs (the heart of the screwcap acceptance) and in France for Vinitech (the first opening toward European traditional markets).